Third image album for the manga Earthian. 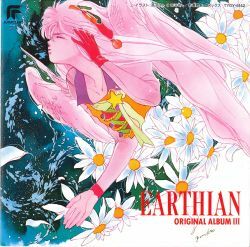 Some tracks are used in the Earthian II OVA released in 1990: tracks 08 & 09 as insert songs and track 11 as ending theme. Remark: track 10 is not a song but an instrumental track.